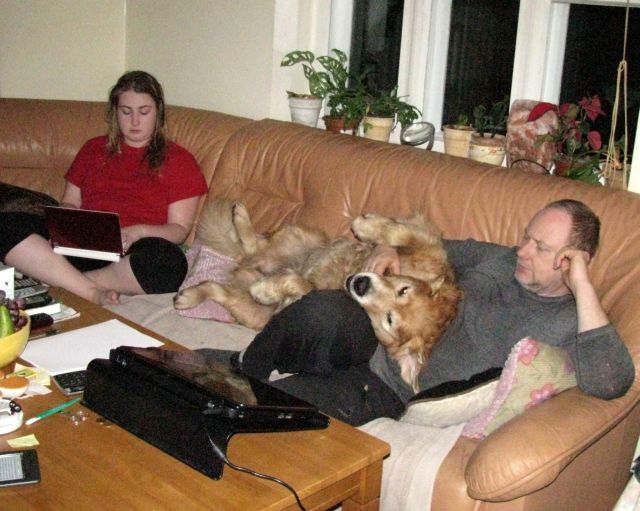 Ringokris kennel was registered in the FCI in 1993; the name is derived from the names of Kristina and Heili’s first dog Ringo. In the 1990s Boxer, Dalmatian and Borzoi puppies were born in the kennel, but since 2004 we have dedicated ourselves to Golden retrievers – a breed that arrived in Estonia only some years before. Carlo (Guldfynd’s Careful Casillas) can be “blamed” for this love because he has been such a wonderful companion! 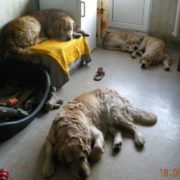 Our dogs have many residences: a city home in Tallinn, summer home in Vääna-Jõesuu and until 2011 a country home in Raplamaa. However, in 2011 Krstina became seriously ill, and in spring 2012 the country home burned down as well. Luckily by that time our summer home neighbours (family Sild) had been won over for the breed via their Boxer Caesar. 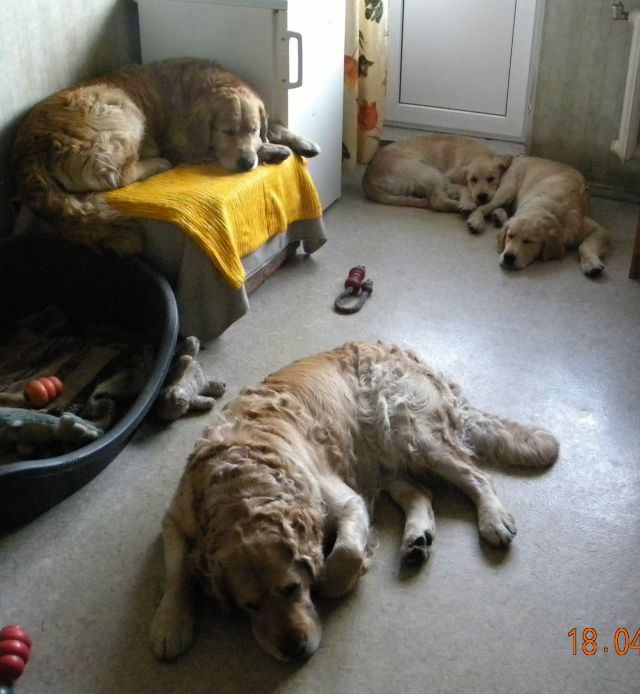 It was Caesar who introduced us to Inga, Tõnu, Triin and Mati ,and thus dogs found a winter home in the country, in Vääna-Jõesuu. 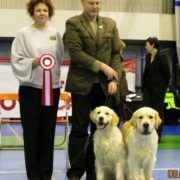 Inga has passed training for field trial judges and trainers. Tõnu has a wonderful rapport with Sarli (Trebell Ticket To Ride), with whom he is doing handling and gundog training, so that Ringokris really has become a team effort. Since October 2012 Inga Sild is an official Ringokris partner. Tõnu is becoming quite a handler! 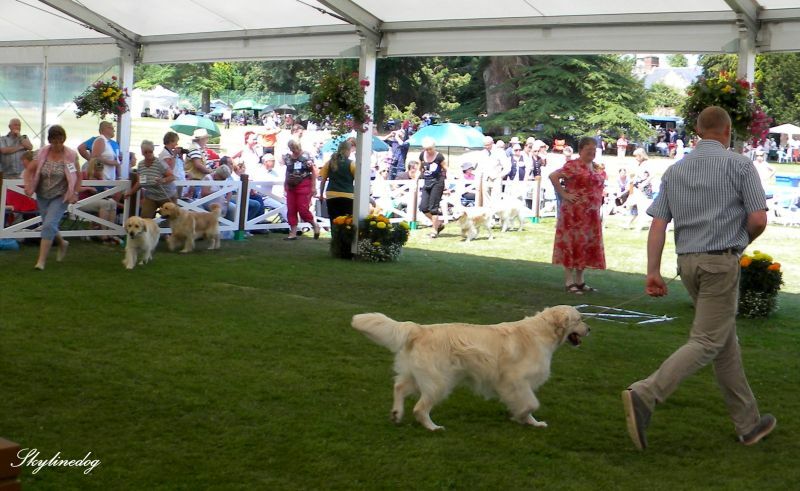 In 2013 he handled Tenfield Commander in Chief at the GRC Centenary show, and he has handled our and team members’ dogs to awards. 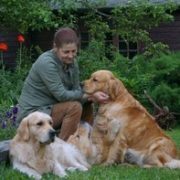 Inga’s and Tõnu’s daughter Triin takes Priidik to Obedience training, and Mati has been at Gerard O’Shea’s traning courses as well. In 2013 Kristel Fauštein joined the team with Alvin’s daughter Cantrygold Yuhanna Ringokris from Moscow. Good friend is Tatyana Zamorskaya from Narva who has our Katu (Tramin Gathella for Ringokris) with whom she has achieved wonderful results in the showring and in the field. Other partners in Narva are Olga and Denis Ignatyevs who take care of our Lia (Ringokris Kernow Vallia, Lv, Ltu, Rus JCAC, 2 x Est JCAC). Team members are Elen Perolainend and Vladimir Müürsepp with their son Chris – they have worked well with our Monty (Est JCh Ringokris Kernow Valmonte). Ringokris is grateful to all owners of our progeny for their interest and love in our “babies” – without them our activities would be impossible. 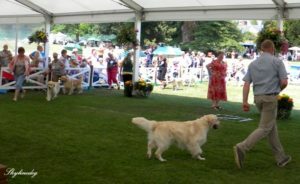 Heili has attended judging courses (but is not a judge) and evaluated dog in unofficial shows, including Mid-Swedish Great Dane Club colour show in August 2010. 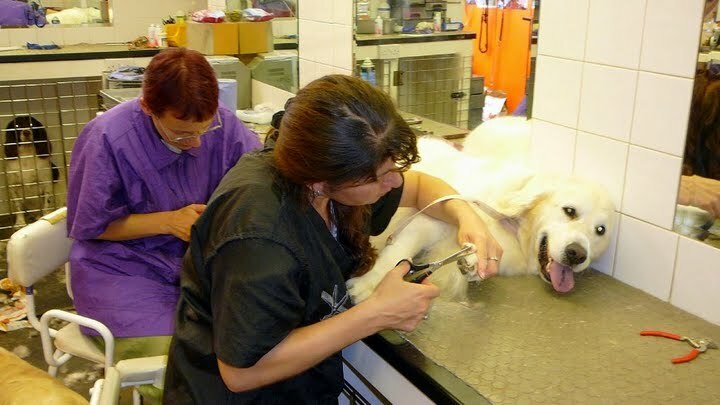 In 2009 she attended grooming courses under Charmaine Ennis van Maren in Top To Tail salon in England. Has also studied canine massage and reflexology. 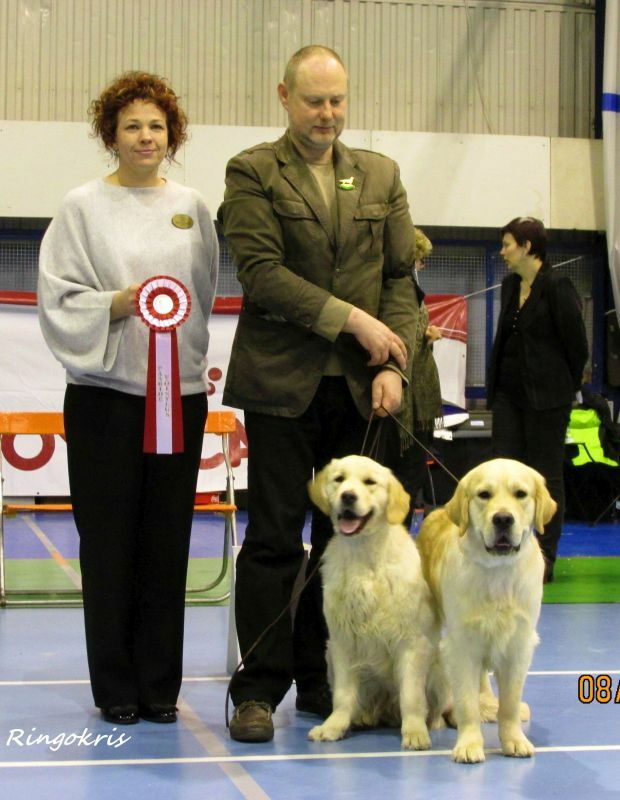 Heili is one of the founding members of Estonian Great Dane Club, and a member of Estonian and UK Golden Retriever Clubs; both she, Inga and Kristina are members of the Estonian Kennel Club.